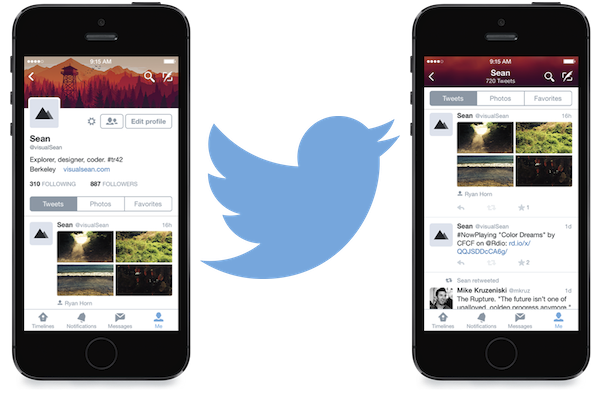 Twitter has unveiled quite a substantial update to its Twitter for iPhone app, with a brand-new look for user profile pages and supportive features for Apple’s iOS 8 operating system. Twitter is calling the app profile refresh its “biggest update to profiles to date” – the design has been completely overhauled, with a much greater focus on the user’s bio, tweets, photos and favorites. Bios are now visible as soon as you land on a user profile, and you can access the tweet timeline, photos and favorites with a single click. The new profiles are rolling out now to anyone using iOS 7 and above. For iOS 8 users, the update also allows you to interact directly with push notifications from Twitter, including retweets, follows and more.